I need lists to get me through life. Without lists I forget important stuff. I get a GREAT satisfaction from finishing a list and crossing off the LAST item on it! 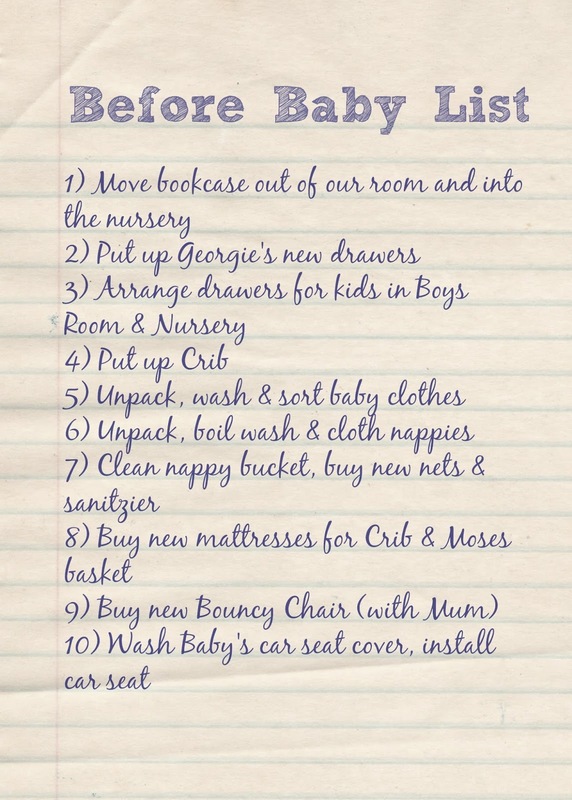 This is our list of 10 things we NEED to do before this baby arrives.